Welcome to my personal webpage. 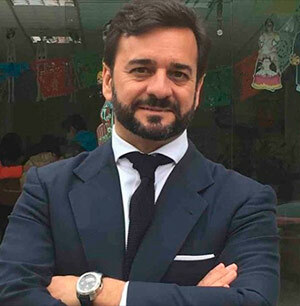 My name is Manuel Alejandro Cardenete, currently I am Regional Viceminister at Vicepresidence-Regional Ministry of Tourism, Regeneration, Justice and Local Administration at Regional Government of Junta de Andalucia. My research lines are Input-Output Models, SAM Models and Computable General Equilibrium Models – at regional and national level- using GAMS, PyIO, SIMSIPSAM and GTAP softwares. I am Principal Researcher of CLIMAMODEL SEJ-511, Distinguished Research Professor de HISPAREAL (Hispalis Regional Economics Applications Laboratory), Associate Researcher of CISE-Universidad Autónoma de Coahuila, Associate Researcher of CEDRUS-UNAM. You can find in this webpage all information about my professional experience and works (publications, research, bio…). Any suggestions about this website will be welcome. Best regards. Prof. M. Alejandro Cardenete, Ph.D.